I think it must be a French (if not E.U.) law, that anyone between the ages of 20 and 55 must wear brightly colored, skin tight shorts and top when riding a bicycle along a towpath... or anywhere else on this planet for that matter. 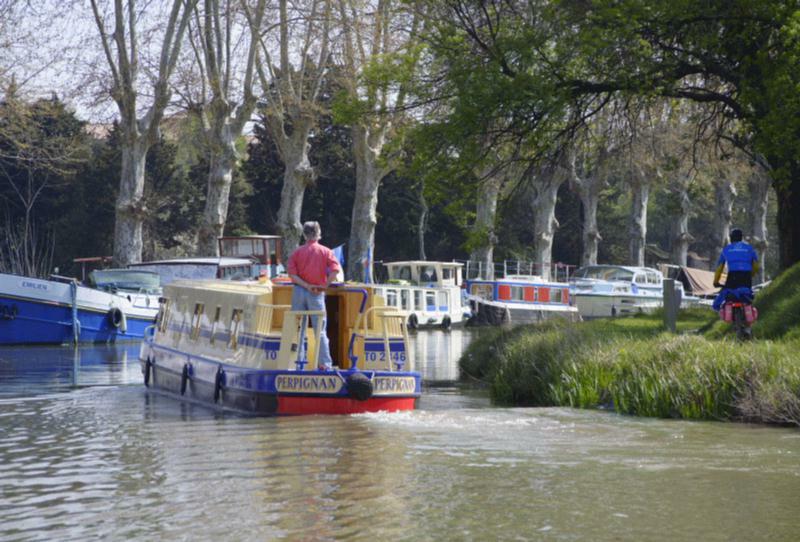 Also, Britts (by their own choice) have to pay twice as much for a "Narrow Boat" rental as any other tourist would pay for a typical pénichette, of nearly twice it's width and comfort. I'm sure this all must harken back to the battle of Agincourt.